Life is so darned unfair, right? I wonder if we have much room to talk though. Prison, flogging, exposed to death again and again, received forty lashes five times, beaten with rods, stoned, shipwrecked, constantly on the move, in danger from bandits and raging rivers, in danger from fellow countrymen, in danger in the country, in the city, from the Gentiles. Labored and toiled, gone without sleep, been thirsty and hungry, cold and naked. Well according to the things Paul went through, maybe my life isn’t so bad? 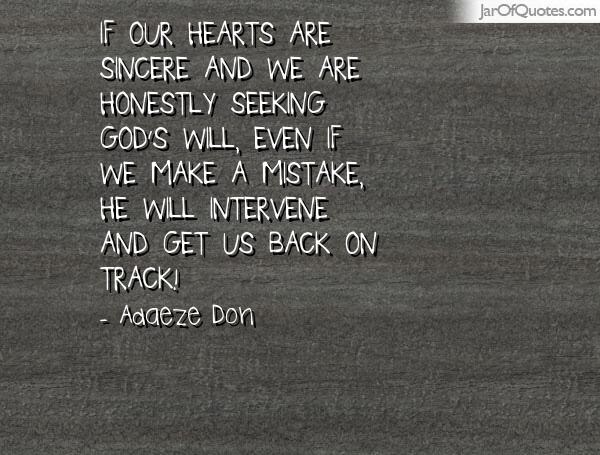 God desires my faith to be great and sincere, born of a pure heart. One of the ways he does that is through trials and tribulation. Speaking for myself alone, I doubt very much is faith would have much sticking power if it wasn’t a bit of a hardship to arrive there. There are definite stepping stones on the road to great faith, suffering at the hands of our own people (1 Thessalonians 2:14), afflictions (1 Thessalonians 3:3-4), persecutions and trials (2 Thessalonians 1:4), just to name a few. How foolish does the things we fight about , stress over and give precious time to seem when compared to the things Paul went through for His Lord? 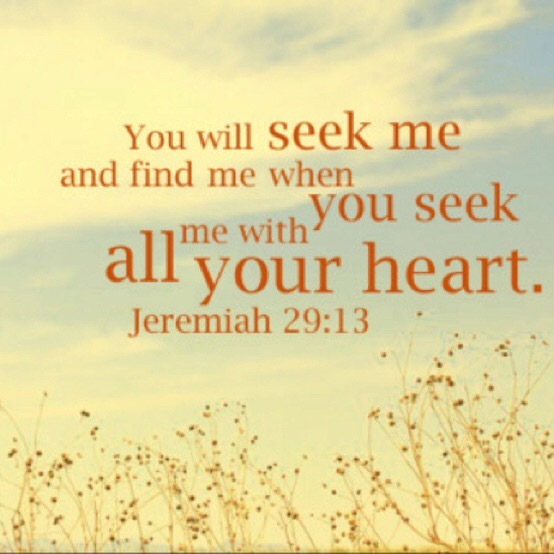 I am brought back to trust again, God must need me to see the meaning of trust clearly so that I can see Him clearly. I admit that to trust is a risk, not just trusting God but anyone for that matter, it is an ongoing thing that takes much work, incredible amounts of it but I believe with my whole heart that to have faith is to be rewarded. 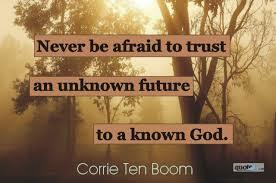 Corrie Ten Boom said it best…………Never be afraid to trust an unknown future to a known God.